created as sunlight is refracted as it passes through ice crystals. 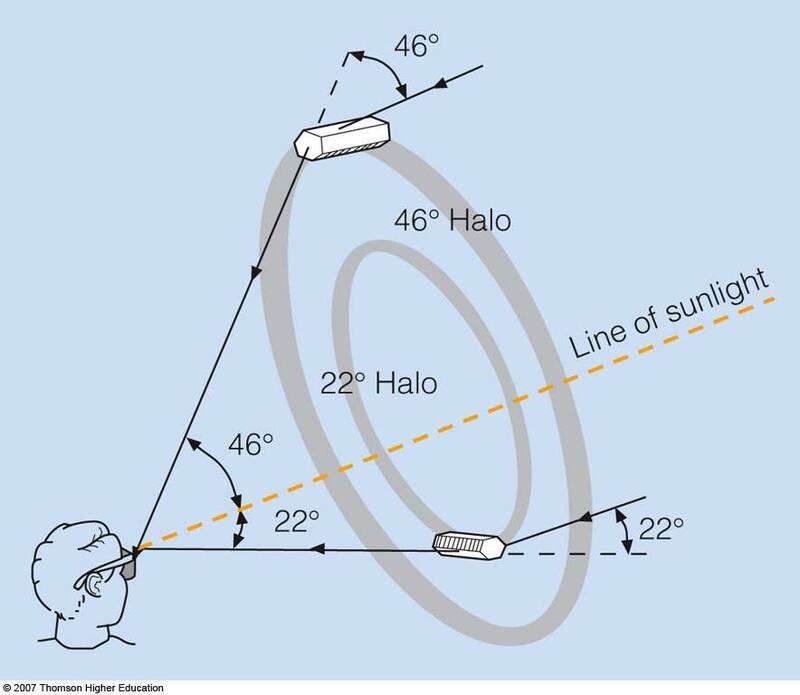 22� halo - refraction of light through randomly falling ice crystals. 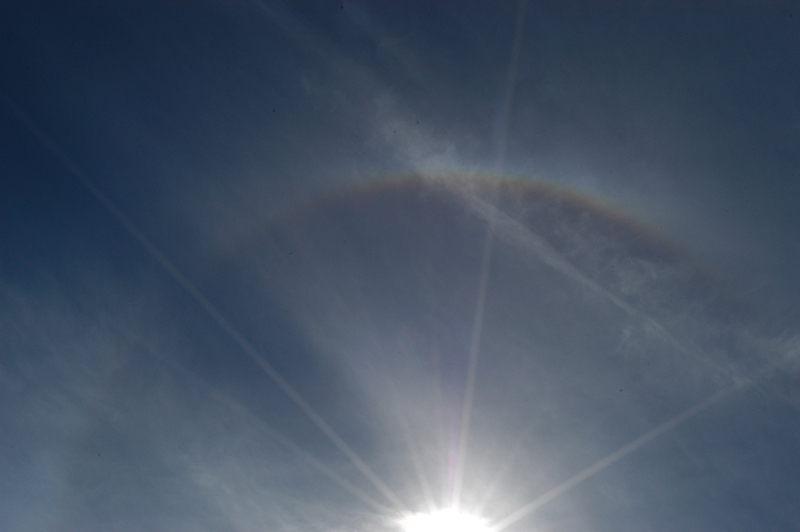 46� halo - refraction of light through hexagonal column-type ice crystals.